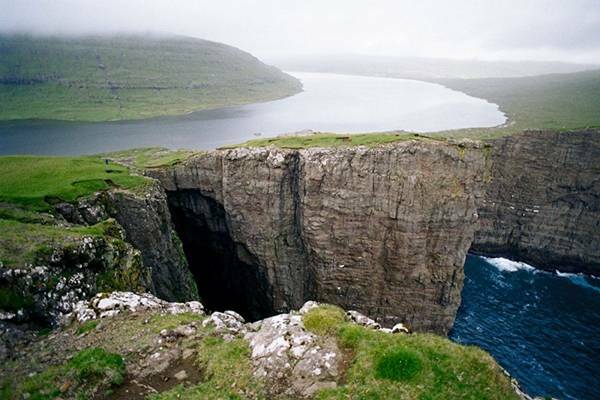 Sørvágsvatn (Leitisvatn) is the biggest lake of the Faroe Islands. 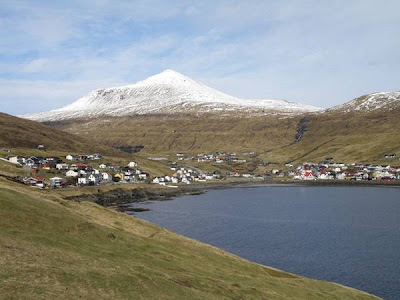 It is situated on the island of Vágar between the municipalities of Sørvágs Kommuna and Miðvágs kommuna. 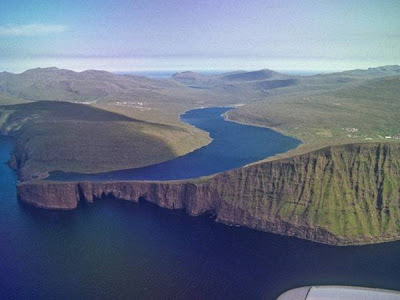 The name Sørvágsvatn means 'The lake of Sørvágur'. 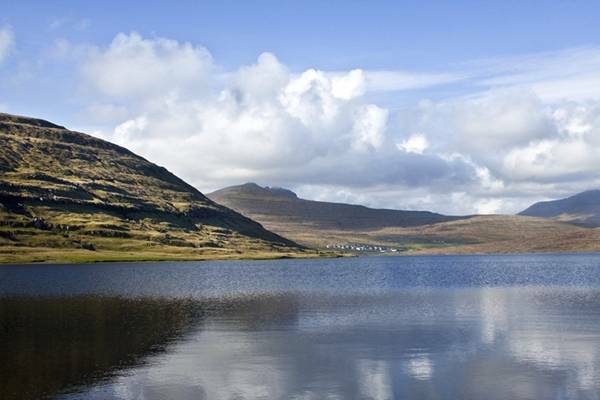 In size it is 3.4 km2, more than three times the size of the second biggest lake Fjallavatn, which also lies on the island of Vágar. Today it may seem strange to call the lake Sørvágsvatn given the fact, that the village of Miðvágur is situated closer to the lake, than the village of Sørvágur. The explanation to this is, that during the faroese Landnám Sørvágur was settled before Miðvágur. 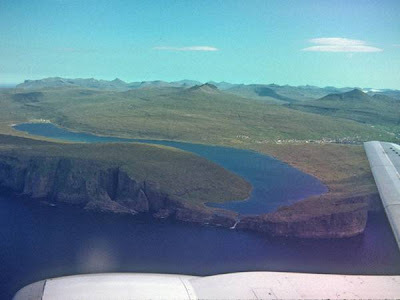 Sørvágur—alongside Bøur and Sandavágur—is considered to be one of the three original Landnámsbygdum on Vágar. The three Landnámsbygdir divided the land on the island among them into three equal sizes of 60 marks. A division of the island into three equal portion will bring Sørvágsvatn firmly inside the boundaries of Sørvágur and therefore the lake has been named after this village. During World War II the British army built an airfield by the lake. They also built a station to support seaplanes. The first aircraft to land in Sørvágsvatn was a Catalina from the British Navy, which landed on in 1941.